The iADCS400 matches the ST200 star tracker with Hyperion’s RW400-series of reaction wheels, as well as the MTQ400 series of magnetorquers. 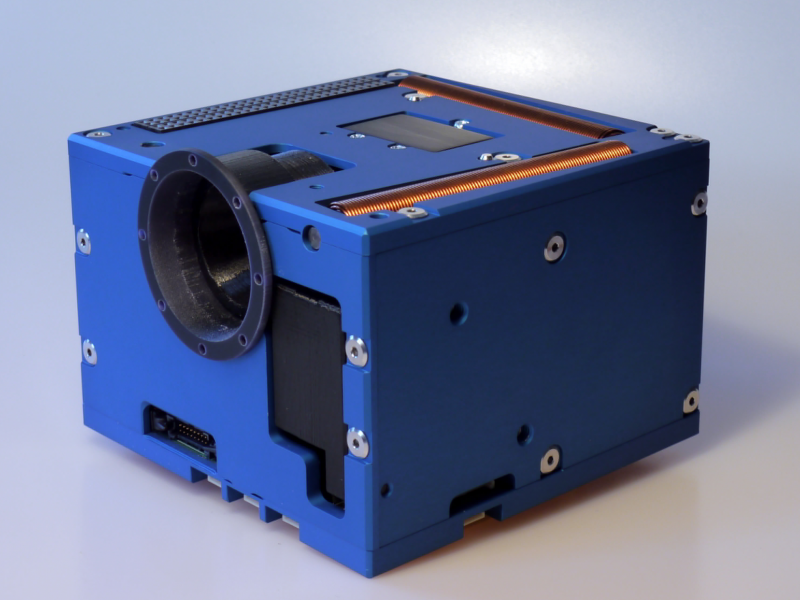 Combined with Berlin Space Technologies’ flight-proven control algorithms, it offers an entirely autonomous attitude control system, in the space of 5 standard CubeSat PCB’s, taking up 0.7U in terms of volume. With the help of the RW400-series of reaction wheels, it is capable of precisely pointing and slewing 6 to 12U CubeSats, or platforms with similar moments of inertia. Like all other integrated systems by Hyperion Technologies, the iADCS400 is stack-through, allowing users to place it anywhere in their satellite.